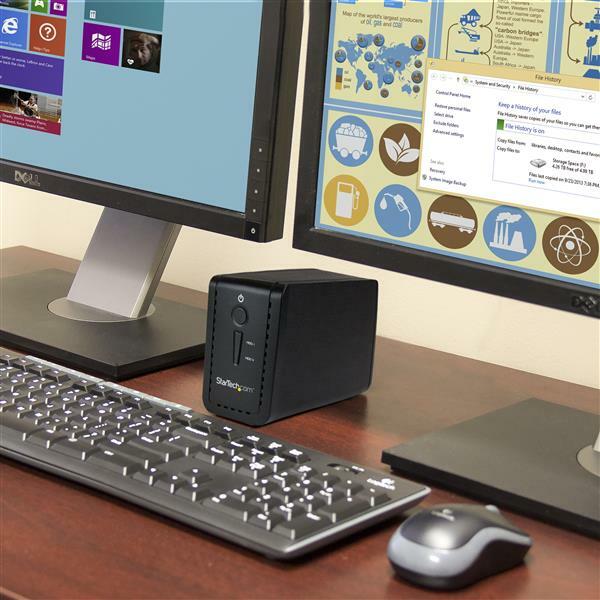 This USB 3.1 dual-bay drive enclosure makes it easy to add high-capacity, high-performance external data storage to your laptop or desktop computer. The dual-bay RAID enclosure supports two 3.5” SATA hard drives with ultra-fast data transfer speeds and configurable RAID modes. 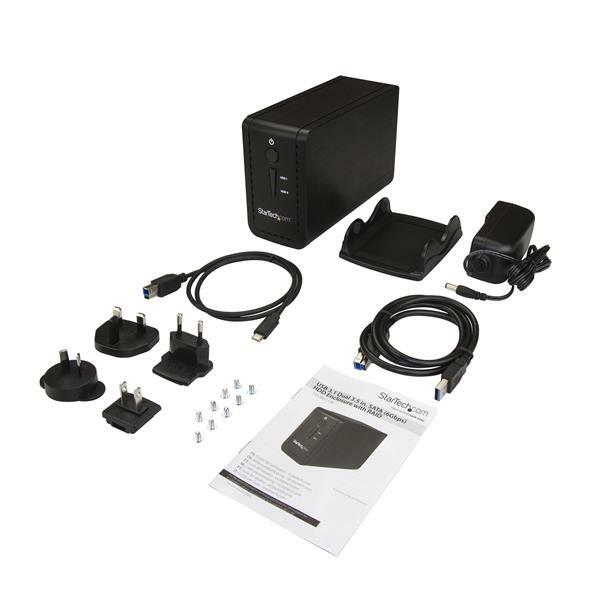 Create a high-capacity, external data storage solution with support for two 3.5” HDDs, SSDs or SSHDs. 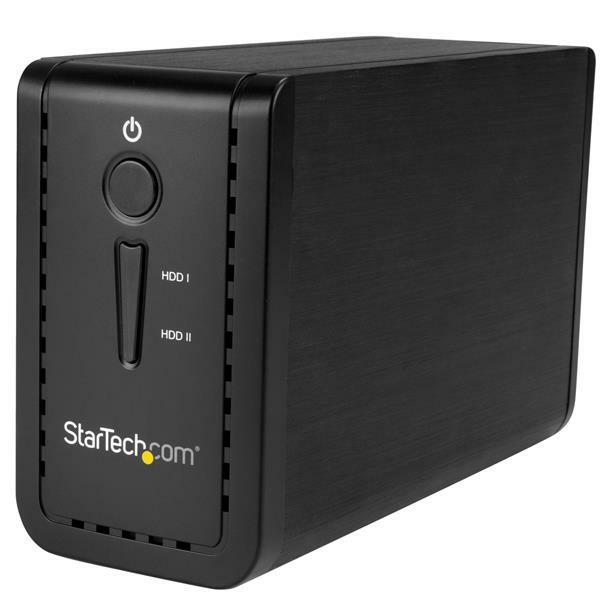 This 2-bay 3.5" drive enclosure delivers fast file transfer rates up to 10Gbps with USB 3.1 Gen 2 performance. It supports SATA I, II and III and is enhanced with UASP to maximize the performance and speed of your SATA III drives. The dual-drive RAID enclosure provides an effective solution for creative professionals, office employees, researchers, and medical personnel to store, access, back up, and protect important files. It gives you the peace of mind of knowing that your data is safe, secure, and protected. With multiple RAID options, you can gain increased storage size, performance, or redundancy. The enclosure supports RAID 0, RAID 1, JBOD and SPAN (BIG), which enables you to choose your preferred backup mode and customize your drive arrangement based on your storage requirements. 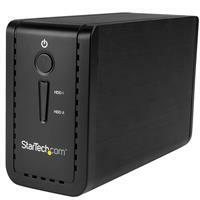 To maximize both durability and reliability, the external RAID enclosure features an aluminum and plastic housing with a metal hard-drive mounting tray. It also features a built-in fan, to help dissipate operating heat and maintain an optimum operating environment for drive protection. The dual-bay drive enclosure includes both a USB-C and USB-A cable for flexible use with the latest laptops and tablets, equipped with a USB-C™ port, Thunderbolt™ 3 USB-C port, as well as legacy devices. 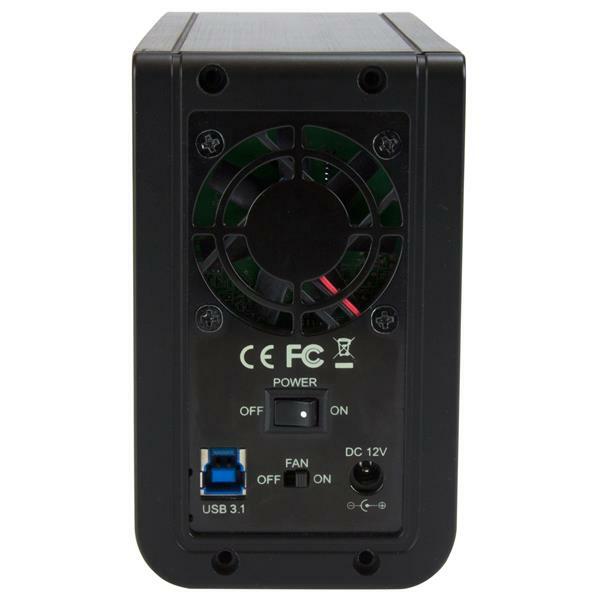 The enclosure is OS independent, requiring no additional software or drivers. 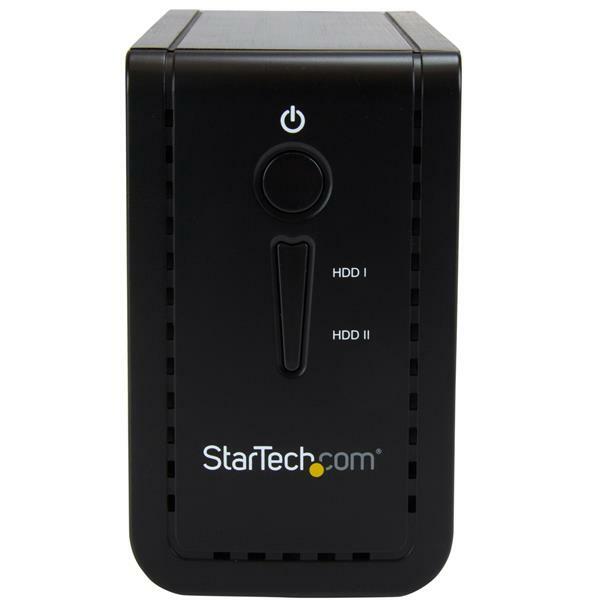 The S352BU313R is backed by a StarTech.com 2-year warranty and free lifetime technical support.